Curious to know how much it would have cost to stay in some of Joplin’s hotels? In 1914, Joplin had an estimated population of 32,073 and had 21 hotels. 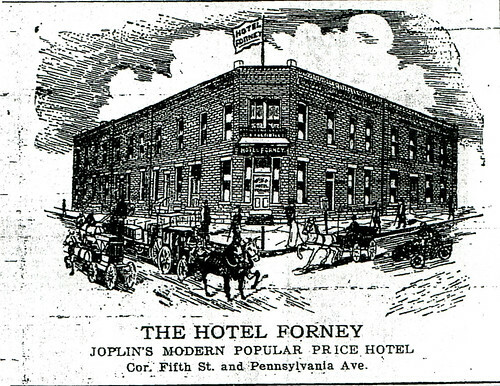 An illustration of the Hotel Forney from an advertisement. Robert Avett, proprietor of the House of Lords, did not respond to the questionnaire and thus while the hotel was listed in the directory, the cost of a room was not listed. 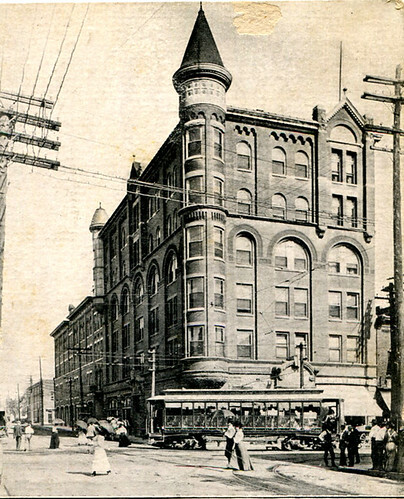 The same went for many other Joplin hotels, including the following: Roosevelt Hotel, La Grand Hotel, Clarkton Hotel, Cliff House, Southern Hotel, Crescent Hotel, and Crystal Hotel. Hotels in Springfield, hailed as the Queen City of the Ozarks and Joplin’s rival, had similar rates. 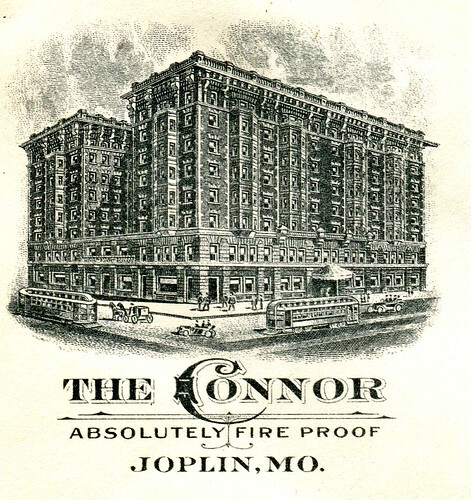 The finer hotels, such as the Colonial, charged $2.50 and up per day in comparison to Joplin’s Connor Hotel, which charged $1.00 and up.